Tony has been a member of the South Shore Cabinet team for more than 18 years, starting out filling propane tanks out back (which you'll still find him doing from time to time) and working his way up to Owner/Head Designer. 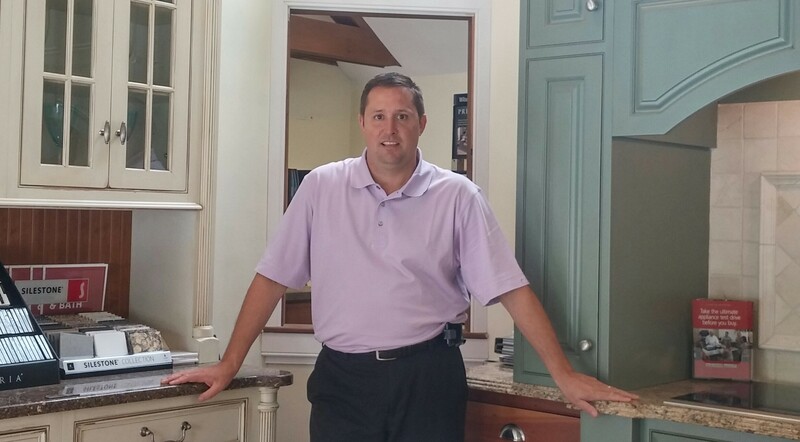 An expert in design, Tony crafts kitchen designs with the specific needs of his clients in mind, taking into account every aspect of the kitchen, from flooring and lighting, to fixtures, cabinets, and appliances. When you turn to South Shore Cabinet for cabinets, appliances, or kitchen design in Duxbury or any of the surrounding areas you'll work with a team of deeply experienced remodeling experts who are dedicated to improving the homes and the lives of local homeowners. From top to bottom, our team works tirelessly to make the home remodeling process a simple one, offering free in-home consultations and a wide range of design and installation services all under one roof. You can count on the team here at South Shore Cabinet to provide you with responsive, courteous service and to treat your home like is was our own.